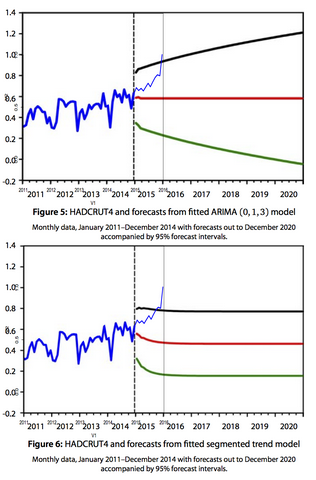 James' Empty Blog: Gambling on Global Warming Goes Mainstream? Here's an interesting article about betting on global warming. Hi James and others! If you want to join a larger recent discussion about the climate bets, go to global warming bets. We've seen a lot of this lately. Leftists not having any evidence and therefore providing pseudo-evidence in the form of alleged willingness to make bets. Or in the form of actual scientists turning down bets. But if the alarmists had any evidence they wouldn't need to make any bets. They'd just present the evidence and that would be that. Do the WORK James and you won't need to do the DANCE. Oh dear. 'Leftist'; Please define. 'pseudo-evidence'; please define. 'alleged'; spurious. 'alarmists'; please define. 'produce the evidence'; please explain in what way this has not been done. 'do the work James'; er... he is. Are you? 'Putting your money where your mouth is'; who does, who doesn't? Please try and make a worthwhile or constructive comment. Or take James up on one of his bets. Don't use your stupid leftist-projection on me fergus. Its you energy-deprivation-crusaders that are on an evidence filibuster. When you or James shows up with some evidence thats when I'll have something to work with. ANonymous, what are you looking for evidence of? It would help if you tell us. Aw, go on, tell us what the removed post said. Oh, just more of the same pointless frothing. Rest assured that if he said anything meaningful, or even amusing, I'd leave it up.